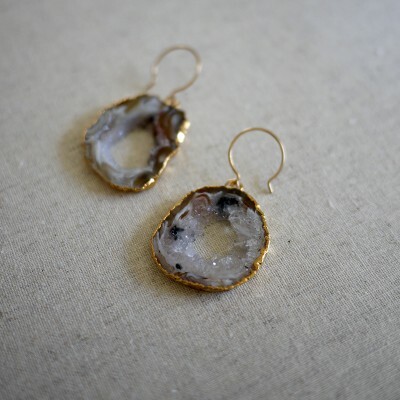 I'm always struck by how gorgeous simple sliced geodes are. These have crystallized rock, marbled tones, clear to opaque striping, basically earthy perfection. Materials: Gold plated stone, 14k goldfill earwires.